The Africa Scout Youth Forum takes place every three years in conjunction with the Africa Scout Conference. 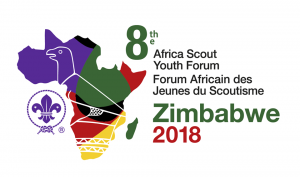 The event provides an opportunity for youth members of Africa Scouting to discuss different issues and many participants are also delegates at the Africa Scout Conference. The aim of the Youth Forum is to provide a learning platform and to increase youth participation in decision-making processes at regional level. For more information visit https://www.scout.org/africaconference-forum2018. The Africa Scout Conference is the governing organ of the Africa Scout Region. It takes place every three years and formulates the general policy of the region through resolutions. 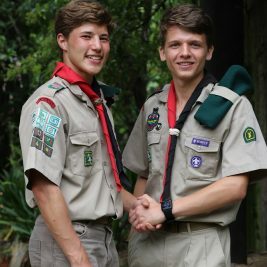 It elects members of the Africa Scout Committee – the executive organ of the Africa Scout Region. Each member National Scout Organization is entitled to send to the Africa Scout Conference up to six delegates and a number of observers to be determined in agreement with the organizing committee. For more information visit https://www.scout.org/africaconference-forum2018. Participants to the Youth Forum will pay a fee of 100USD. This includes participation, meals and accommodation. All transport, flights and visa costs to be covered by participants. Young people taking part in both the Youth Forum and the Conference will pay 150USD. Conference only participants will pay 150USD. All conference delegates – including those coming from the Youth Forum – will need to meet their own costs for accommodation during the conference period. All transport, flights and visa costs to be covered by participants. If you are interested in attending: please email international@scouts.org.za, subject line 17 Africa Scout Conference/8 Africa Scout Youth Conference Zimbabwe. Do not contact organisers directly. Tracy West winner of the Water Champ Badge Competition!